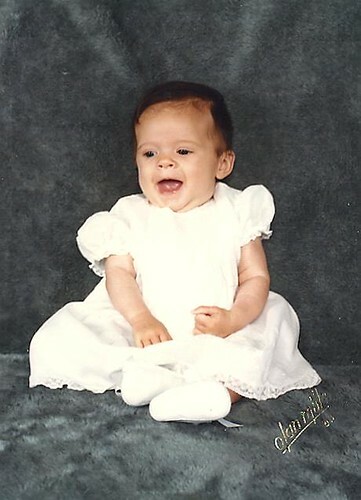 I'm starting to think that Ruthie favors my baby pictures more than Lael did. 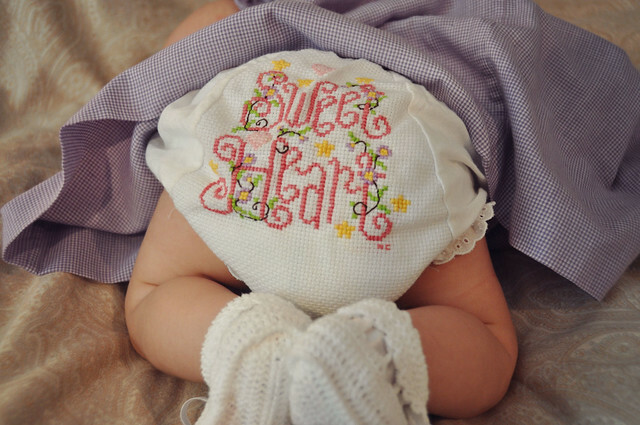 And here's Ruthie wearing the "sweetheart" bloomers that my Aunt Nancy made for Lael. Sweetest bloomers ever. And y'all look so much alike! My mom said "she looks just Kelli did when she was a baby!" Before she saw the picture of you! Such sweet little girls! !